Home » Heathere » Pictures » Lovely! Hopefully I do well this year, huh? Don't expect alot of art from me from now on, eh? Uhh.. Green Bandaid= Burned myself attempting to STRAIGHTEN my hair with a CURLING iron. That is silly!!! That happened to me once!! 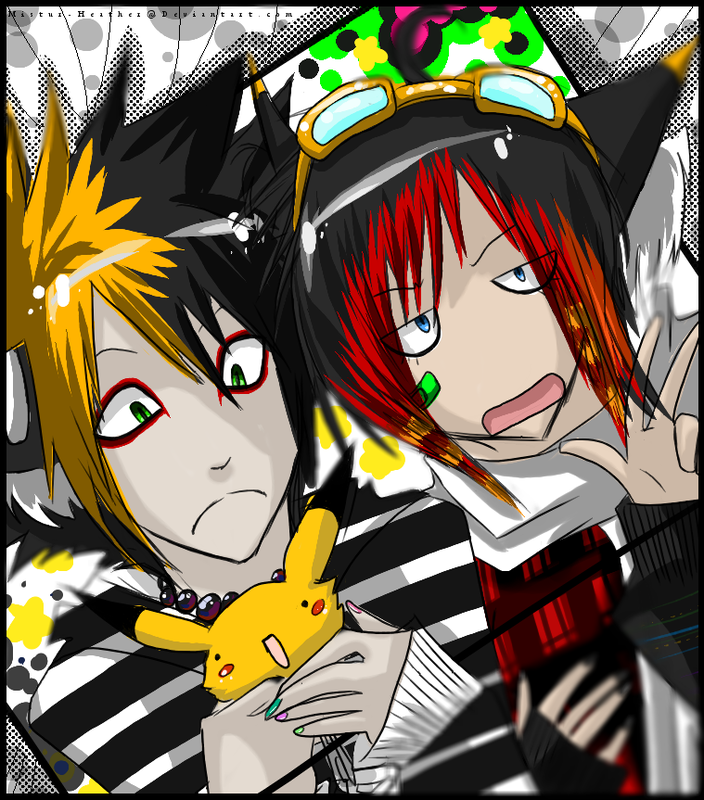 This picture......... inspired me to make a drawing...... that looks pretty bad arse XD.... i think all the pretty colors of your pics hypnotized me XD but thats never a bad thing! I CANNOT GET OVER HOW CUTE YOUR FACE LOOKS! VERY VERY GREAT WORK HERE HEATHERE!